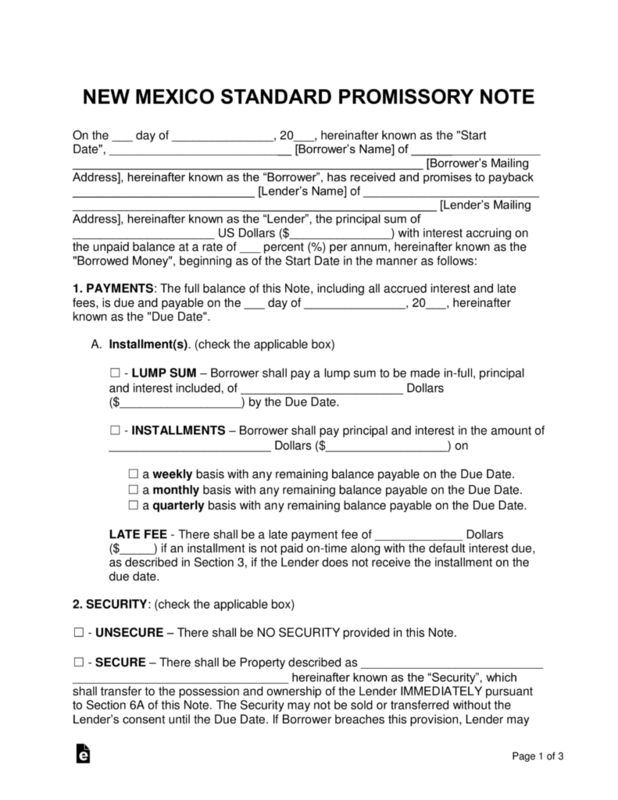 The New Mexico promissory note templates are documents that outline the important aspects of a money-lending transaction between two individuals. In a money-lending deal, the lender of the balance makes a profit by receiving interest on top of being reimbursed the original balance given to the borrower. For New Mexico we offer two versions of the agreement, which are briefly described below. 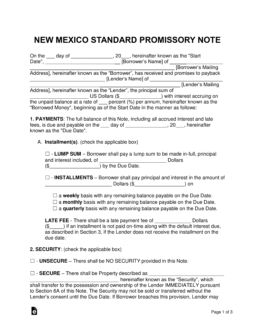 Secured Promissory Note – Because this agreement is ‘secured’, it includes a section that requires the borrower to set aside a physical item (such as a home, vehicle, or boat) that is given to the lender in the case of a default to help cover the remaining unpaid balance. Unsecured Promissory Note – This version does not include a section on security creating an additional financial risk for the lender. To help lessen this risk, it is highly recommended that the lender only enter into a deal with family/friends and those with an exceptional credit score.